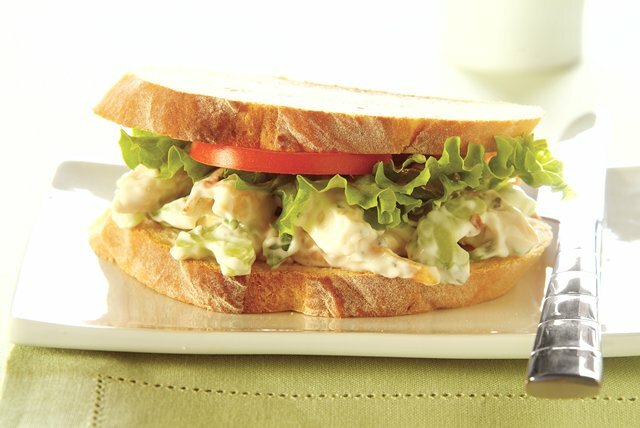 Find you new favorite sandwich recipe with this Basil-Chicken Salad Sandwich. This Basil-Chicken Salad Sandwich includes basil, lemon juice and veggies. Combine chicken, celery, onions, dressing, lemon juice and basil. Spread evenly onto 4 of the bread slices. Top with tomatoes, lettuce and remaining bread slices. Substitute 2 cups chopped cooked fresh chicken for the chopped grilled chicken breast strips.